Sicilian gastronomy is influenced by the cultures that have been established on the island during the course of history. It has contributions of the cuisine from the ancient Greece, also of the Maghrebi and the Jewish. Although each region of Sicily has its own specialties, with ingredients of the typical Mediterranean cuisine. Let’s go on a cuisine journey to explore the delicious Sicilian food and find out where you can try it out. Enjoy your meal! This recipe is perhaps familiar to you. 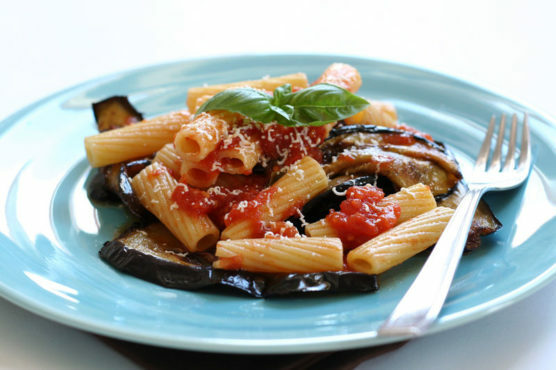 It is a pasta dish that is usually made with macaroni seasoned with eggplant, tomato, basil and sheep’s cheese. This Sicilian food is typical of the city of Catania. 🍴 Where to taste a good pasta alla Norma? In the Nuova Trattoria del Forestiero, a very family-friendly restaurant that offers very delicious homemade pasta. It is on 24 of Via Coppola in Catania. It is also famous for its pistachio pasta recipe. All the praises go to Dona Rosanna, the cook. They say she makes the best pasta in Sicily! As everything is homemade, the service is somewhat slow, but the portions are plentiful and, the taste…amazing. Worth the visit. 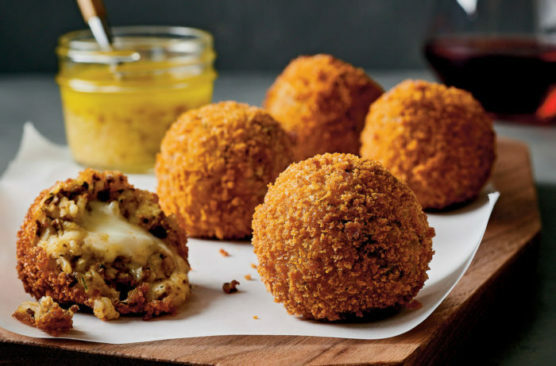 The arancini are rice paste croquettes. The paste is mixed with parmesan and egg, and fried in olive oil giving them a rounded shape. Sometimes, they are stuffed with meat, tomato sauce, peas, mozzarella, eggplant, pistachios or other ingredients. It seems that they originated from Messina, where they are typical. They are served freshly made and are delicious, thanks to their soft interior and crispy exterior. In the Bar Pasticceria Midolo. It’s in Syracuse, at number 86 of Corso Umberto. It is a pastry shop that also serves savory things. 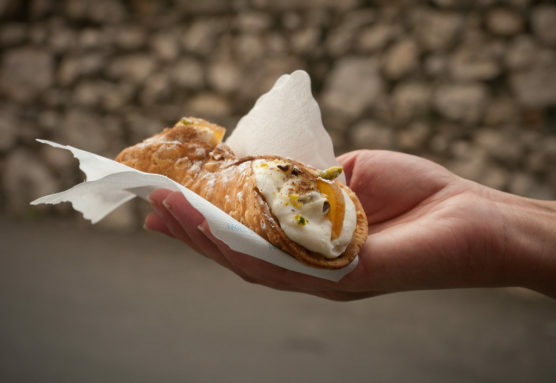 It’s one of the best places to try out sicilian street food. You can find both desserts and snacks and it has been running for more than 25 years. The arancini are very famous, especially those of ragù (a stew of meat) and spinach. They have a little table where you can sit, but usually, customers take away the order. 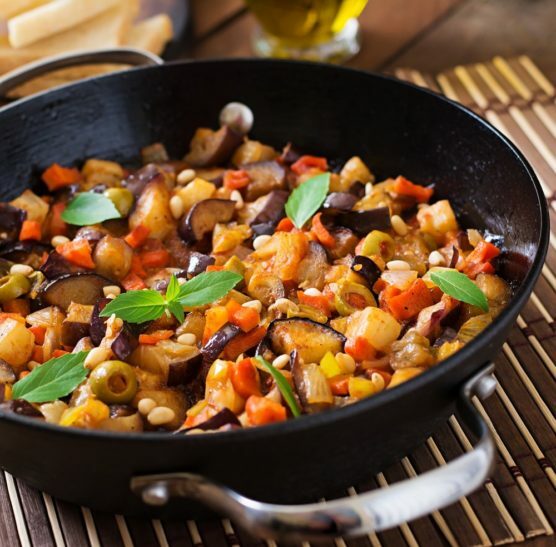 The caponata is a stew that is served as a side dish. Its main ingredients are eggplant and tomato. These are added to celery, olives, onions, capers and some other ingredients that compose the dish. Everything is cut into tiny pieces and it is super delicious. Besides, It is also prepared for seasoning recipes with pasta. Well, of course, in La Caponata Ristorantino, where else? It’s in San Vito Lo Capo, in Via Duca Degli Abruzzi number 51. Its menu is small, but all the dishes are top notch. In addition, there are different kinds of pasta and seafood, and the presentation of the dishes is exquisite. 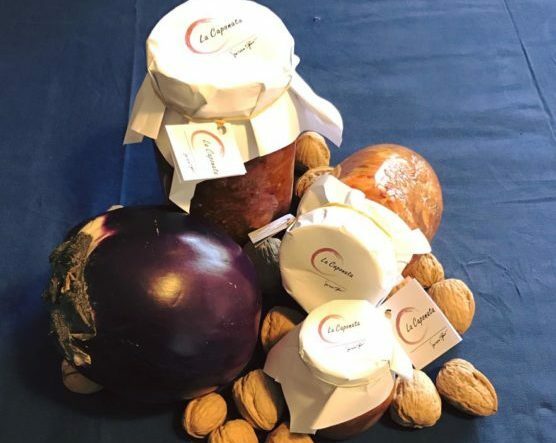 We recommend mixing caponata with the wines, they have on offer. 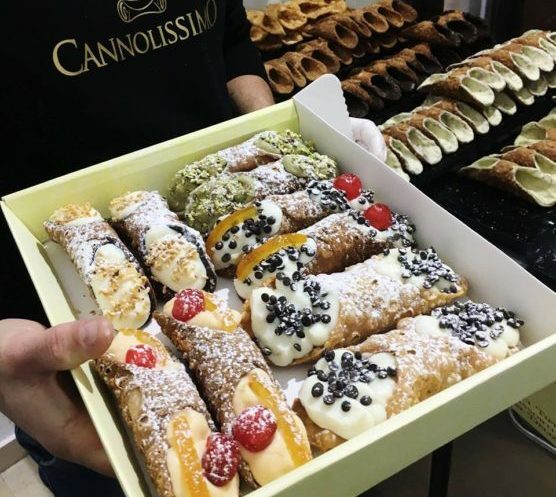 Cannolo (singular) means in Italian “small tube”. It is the most typical Sicilian sweet. It consists of a cylinder of fried puff pastry stuffed with cottage cheese. There are also versions of pistachio, chocolate or mascarpone. You may know them from the movie The Godfather or the series, The Sopranos. 🍴 Want to try it, right? We recommend Cannolissimo. It’s in Palermo, on Via Vittorio Emanuele, 407. It’s a bakery specializing in cannoli and there are a hundred varieties of cannoli. You can choose the dough, the filling, the toppings and they prepare it at the moment according to your wishes. There are also ice creams and juices, in addition to some tables to sit for a quick snack. Have you seen our apartments with terrace in Palermo? 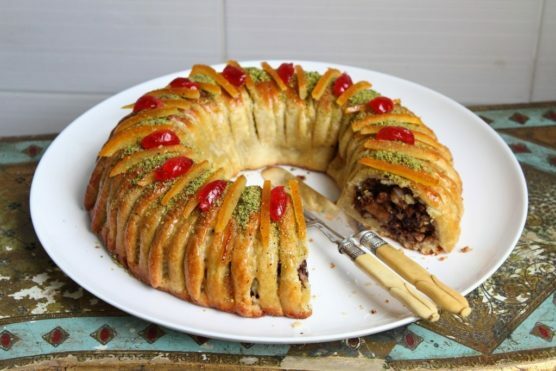 The buccellato or cucciddatu is a cake that is eaten at Christmas. It is made of broken dough and it is given several forms, usually with a screw thread. It is stuffed with dried figs, raisins, orange peel, almond with candied pumpkin and chocolate, depending on who prepares it. It is covered with a glaze or candied fruit. 🍴 Where to eat in Sicily? 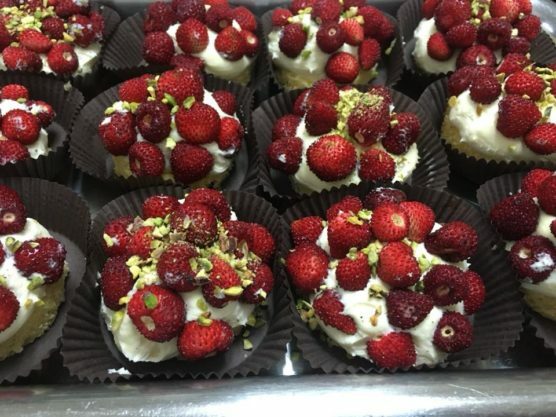 Pasticceria Artale (in La Land Landolina, 32, of Syracuse) has a reputation for making delicious sweets. It is a family bakery that it’s been opened since 1980 and everything they do is handmade. 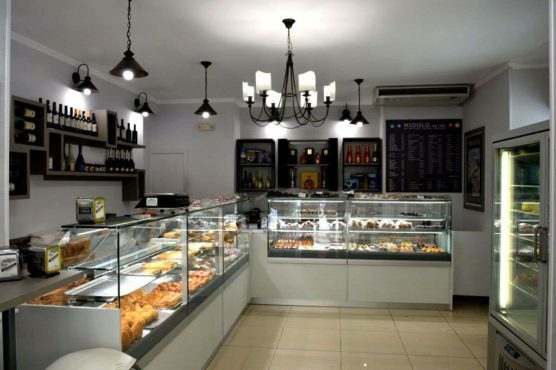 They also make Sicilian food like cannoli, marzipan, nougat, ice cream, pistachio cake, almond cake as well as salty products, such as arancini, frivolities and vegetable or meat pies. 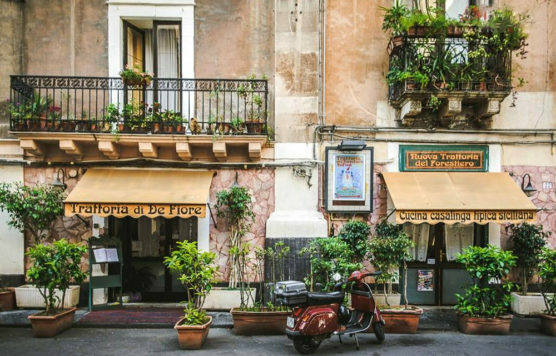 What do you think of these restaurants in Sicily? They are great to get the most out of the Sicilian food. You already know that in Muchosol we think that to know a destination in depth, you should try its gastronomy. And what about its coast? Here you have our selection of beaches in Sicily. Do you still need more reasons to travel to this island? Here we will fully convince you: take a look at these reasons why visit Sicily. A getaway to... Book Here!